Technical Competence Centre constantly collaborates with Universities, Research Centers and Specialized Laboratories to guarantee the highest professional level. 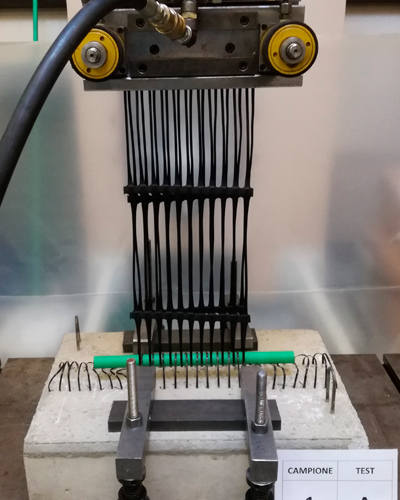 Tests can be performed in collaboration with the Tenax internal laboratory to verify the mechanical, hydraulic and durability performance and the properties of geosynthetics in compliance with International Standards. The constant research of new products and the enhancement of the existing ones is a primary target to offer the best possible solutions to Designers and Customers.